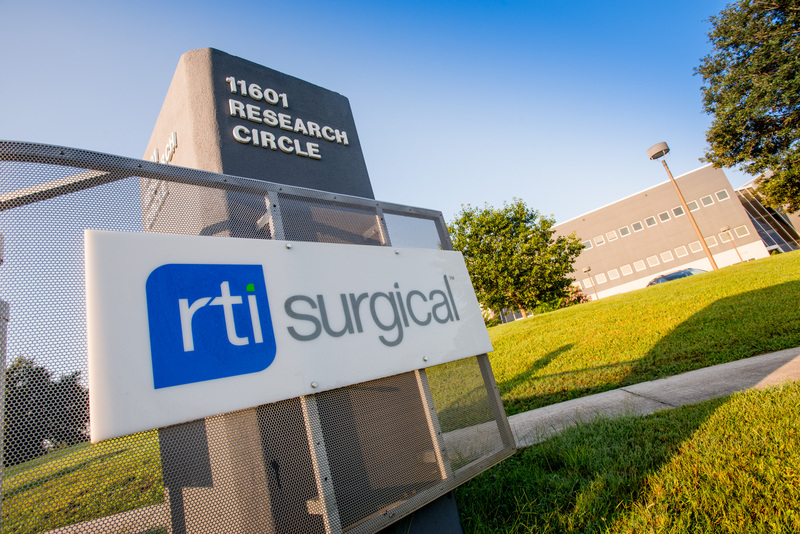 RTI Surgical® Announces 2016 Second Quarter Results - RTI Surgical Holdings, Inc. Achieved worldwide revenues of $67.6 million, exceeding company revenue guidance of $66 million to $67 million. Achieved worldwide direct revenues of $39.6 million, a 16 percent increase over the second quarter of 2015. Achieved U.S. direct spine revenues of $17.6 million, a 25 percent increase over the second quarter of 2015. Achieved direct international revenues of $5.7 million, a 27 percent increase over the second quarter of 2015. Achieved U.S. direct cardiothoracic revenues of $2.9 million, a 31 percent increase over the second quarter of 2015. Focused products, which include map3® Cellular Allogeneic Bone Graft, nanOss® Advanced Bone Graft Substitute and the company’s U.S. direct surgical specialties portfolio, grew 54 percent compared to the second quarter of 2015. Announced first peer-reviewed, published pre-clinical study comparing multipotent adult progenitor cells (MAPCs) to mensenchymal stem cells (MSCs) in bone healing. Worldwide revenues were $67.6 million for the second quarter of 2016 compared to revenues of $71.6 million for the second quarter of 2015. Domestic revenues were $61 million for the second quarter of 2016 compared to revenues of $66 million for the second quarter of 2015. International revenues were $6.6 million for the second quarter of 2016, compared to revenues of $5.6 million for the second quarter of 2015. On a constant currency basis, international revenues for the second quarter of 2016 increased 16 percent compared to the second quarter of 2015. For the second quarter of 2016, the company reported net loss applicable to common shares of $3.2 million and net loss per fully diluted common share of $0.05, based on 58.2 million fully diluted shares outstanding, compared to net income applicable to common shares of $2.7 million and net income per fully diluted common share of $0.05 for the second quarter of 2015, based on 58.8 million fully diluted shares outstanding. On an adjusted basis, excluding pre-tax charges of $2.4 million for contested proxy expenses, pre-tax restructuring charges of $1.1 million for closure of a French distribution and tissue procurement office, and pre-tax severance charges of $0.7 million, adjusted net loss applicable to common shares was $0.2 million and adjusted net loss per fully diluted common share was $0.00, based on 58.2 million fully diluted shares outstanding. Adjusted earnings before interest, taxes, depreciation and amortization (adjusted EBITDA), as detailed in the reconciliation provided later in this release, was $6.4 million for the second quarter of 2016 (10 percent of second quarter 2016 revenues) compared to $10.8 million for the second quarter of 2015 (15 percent of second quarter 2015 revenues). The decline was principally a result of lower revenues combined with increased investments in research and development and the development of our international sales network. The company also announced today that its management and board of directors are launching a comprehensive strategic review of the company’s business lines and operations to leverage the company’s leading expertise, technology and products and identify additional opportunities to increase stockholder value. The company intends to engage a management consulting firm to assist with this review. Based on the outlook for the commercial business for the remainder of the year, the company now expects that full year revenue for 2016 will range from $274 million to $280 million, as compared to prior guidance of $282 million to $290 million. The company expects full year direct revenue to grow in the range of 16 percent to 17 percent as compared to the previous range of 16 percent to 18 percent and full year commercial and other revenue to decline in the range of 18 percent to 21 percent as compared to the previous range of 13 percent to 16 percent. As a result of the lower revenue guidance, the company now expects full year net income per fully diluted common share for 2016 will range from $0.03 to $0.06, based on 58.5 million fully diluted shares outstanding, as compared to prior guidance of $0.18 to $0.21. Excluding the previously mentioned contested proxy expenses, restructuring charges, and severance charges, adjusted full year 2016 net income per fully diluted common share is expected to range from $0.09 to $0.12, based on 58.5 million fully diluted shares outstanding. The net income and adjusted net income guidance excludes any costs incurred as a result of the upcoming strategic review. This communication contains forward-looking statements within the meaning of the Private Securities Litigation Reform Act of 1995. These forward-looking statements are based on management’s current expectations, estimates and projections about our industry, our management's beliefs and certain assumptions made by our management. Words such as "anticipates," "expects," "intends," "plans," "believes," "seeks," "estimates," variations of such words and similar expressions are intended to identify such forward-looking statements. These statements are not guarantees of future performance and are subject to risks and uncertainties, including the risks described in public filings with the U.S. Securities and Exchange Commission (SEC). Our actual results may differ materially from the anticipated results reflected in these forward-looking statements. Copies of the company's SEC filings may be obtained by contacting the company or the SEC or by visiting RTI's website at www.rtix.com or the SEC's website at www.sec.gov. Full year net income per fully diluted common share is expected to be in the range of $0.03 to $0.06, based on 58.5 million fully diluted shares outstanding. Excluding contested proxy expenses, restructuring charges and severance charges taken in the second quarter of 2016, full year net income per fully diluted common share is expected to be in the range of $0.09 to $0.12. (1) Restructuring charges – This adjustment represents the closure of our French distribution and tissue procurement office. Management removes the amount of these expenses from our operating results to supplement a comparison to our past operating performance. (2) Contested proxy expenses – This adjustment represent charges relating to contested proxy expenses. Management removes the amount of these expenses from our operating results to supplement a comparison to our past operating performance. (3) Severance charges – This adjustment represents charges relating to the termination of former employees. Management removes the amount of these expenses from our operating results to supplement a comparison to our past operating performance. The Company believes that presenting adjusted EBITDA in addition to the related GAAP measures provide investors greater transparency to the information used by management in its financial decision-making which excludes the restructuring charges, contested proxy expenses and severance charges. The Company further believes that providing this information better enables the Company’s investors to understand the Company’s overall core performance and to evaluate the methodology used by management to assess and measure such performance.